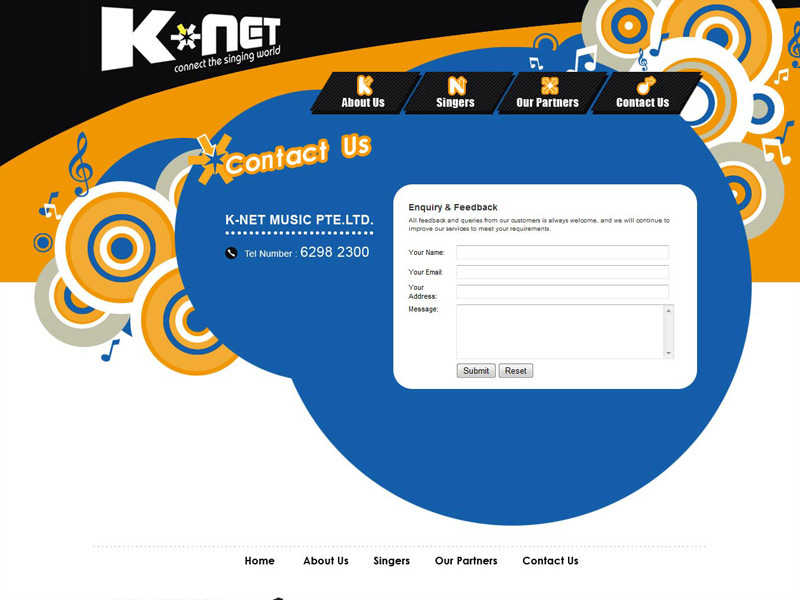 The mission of K-Net Music Pte Ltd is to manage the Intellectual Property Rights (IPR) of karaoke and music video contents within the KOD (Karaoke-On-Demand) system, on behalf of major Hongkong music labels. Being at the centre of the entertainment industry, being trendish and stylish are important aspects of the corporate identity. Hence, bright colours and stylish circular swirls are used to portray the company's strong involvement in the popular music business.